Some roles and responsibilities that Kate has are overseeing day to day operations. She also is responsible for doing estimates, preparing job files and completing the dry report. Skills that Kate has are team work, attention to details, organization, use of xactimate and xactanalsyis, dry book desktop and mobile training. Some things Kate likes to do for fun are DIY crafting, crocheting and planning activities to do with her nieces and nephews. If she could describe SERVPRO and the working environment in a few words it would be focused, positive and professional. Joy Geraci is a marketer for the SERVPRO of West Jordan and South Jordan/North Draper. Joy is very gregarious and loves her job. She enjoys networking and strengthening the relationships she has made. Heather does a variety of things in the office, such as answering phones and directing callers. She also handles dry reports and estimates for the mitigation department. She is a team player and enjoys helping out wherever needed. Heathers favorite daily task at SERVPRO is talking with the technicians as they check in from job sites. She also finds enjoyment going to the movies. If she could describe SERVPRO and the working environment in a few words it would be teamwork, cooperative environment and fun. Juan’s roles and responsibilities are to follow up with customers, set up new jobs, talk to home - owners as well as adjusters and subs. His favorite daily task is helping home - owners with issues they have. 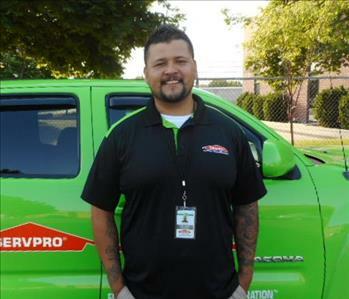 Juan is an outstanding employee at SERVPRO and is certified in ECTP, water, fire, upholstery carpet and ohsha 10. Juan is bilingual which helps the communication of SERVPRO to our customers. If Juan could describe the working environment at SERVPRO in one word it would be exciting. Jason’s roles and responsibilities are building relationships with COI’s and providing great customer service. He has great customer service skills and his favorite daily task at SERVPRO is meeting with agents and property managers. One thing he likes to do for fun is to coach football. If he had three words to describe the working environment at SERVPRO it would be fun, rewarding and enjoyable. Catelyn has great customer service and answers our phones. 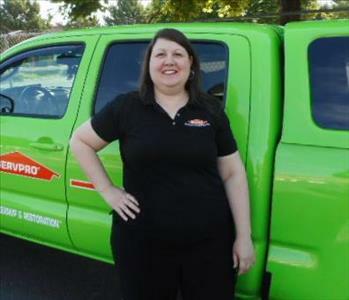 As a client Catelyn will help you with any questions you might have about the SERVPRO cleanup process. Here skill with scheduling crews assures clients are taken care of in a timely manner. Aaron performs mitigation services and excels with customer service. He is very presentable to the customer and has compassion by understanding the needs of customers for their emergencies. Some certifications that Aaron holds are natural incident management systems. He is also certified in fire control; 4a and 4b pertaining to flammable gases and liquids, as well as having an EMT basic certification. Some things Aaron enjoys doing for fun are eating, cooking and all outdoor recreational activities. If he could describe SERVPRO in a few words it would be family oriented, positive and respectful. Amos Mark is one of our Production Crew Chiefs. He specializes in mitigation and has the Water Restoration Technician certification from the IICRC. He is a hard worker and a great example to those on his crew. Bridger’s is a lead water restoration technician. He is responsible for responding to any water damage and meeting the customers needs. His favorite daily task at SERVPRO is interacting with customers. Some skills that Bridger has is being certified in WRT, water mitigation, mold remediation and a great team player. Outside of work some things that he does for fun are being very active in sports. He plays semi pro football and softball and loves spending time with his 2 children. If Bridger could describe the working environment at SERVPRO in three words it would be organized, fun and professional. Rob Roddick is a Production Technician on the mitigation crew. 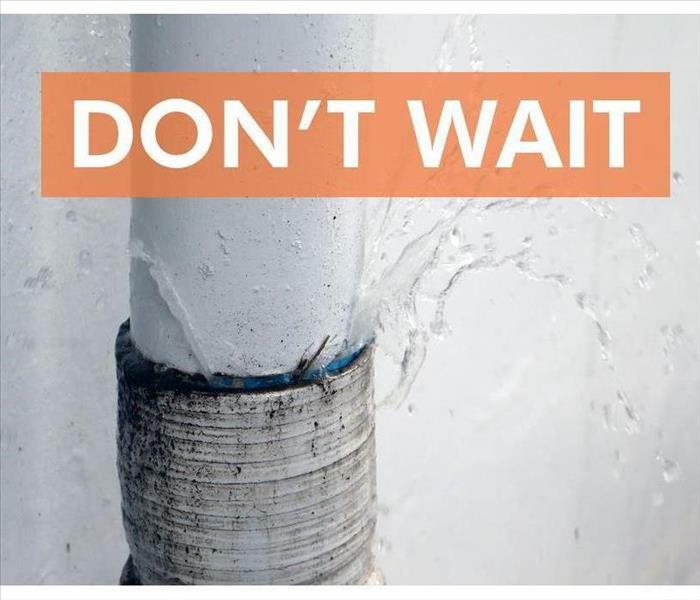 He has been with us for over a year and is very knowledgeable about water losses. He has a Water Restoration Technician certification from the IICRC. Shawn Kidner is a great Production Technician. He is a hard worker who enjoys cleaning up after water losses. His work ethic is infections helping all on the crew work hard to keep our clients happy. Melissa King is part of our marketing team. She is new to our team but has a lot of experience in the insurance field. Her knowledge of water and fire losses help our clients understand the mitigation process from beginning to end. 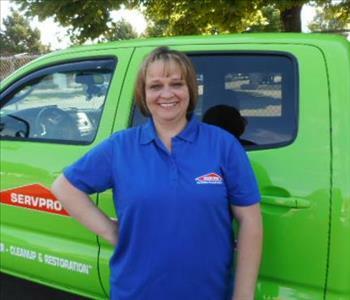 Joy Walker is a Marketing Representative for SERVPRO of West Jordan/South Jordan North Draper. She helps keep our marketing team on task through scheduling of our events and ordering our marketing materials. Justin has several years experience as a Production Technician on the repair and restoration crew. After the mitigation of a fire or water loss it is up to the restoration crew to finish making a house or commercial property look "Like it never even happened." Our repair crew would not be the same without Mauricio. He is a quite Production Technician that likes to work with his hands as it makes him feel accomplished. Whether it be after a fire or flood he will help with the repairs. 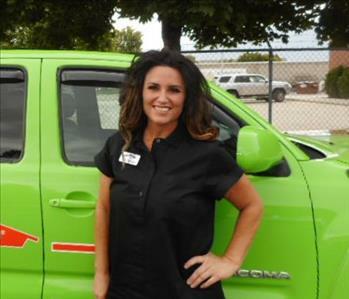 Silva brings skills to the table that are, excellent qualities for SERVPRO. They include electrician, carpentry and technical trouble shooting. Silva believes in safety first and cleans the job site before and after. His favorite daily task at SERVPRO is watching the process come together for our customer’s homes. 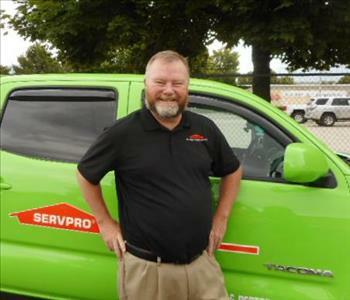 If he could describe SERVPRO and the working environment in a few words it would be safe, accurate and taskful. Rico is a Production Technician on our Repairs and Restoration team. He is an incredibly hard worker and mentor on this team. He is especially skilled in his knowledge of repairing ruined drywall. Greg Bane is on of our Production Technicians for the Repairs and Restoration crew. After a home or business is cleaned from a flood or fire Greg and the rest of the restoration crew will be onsite restoring the property back to pre loss conditions.